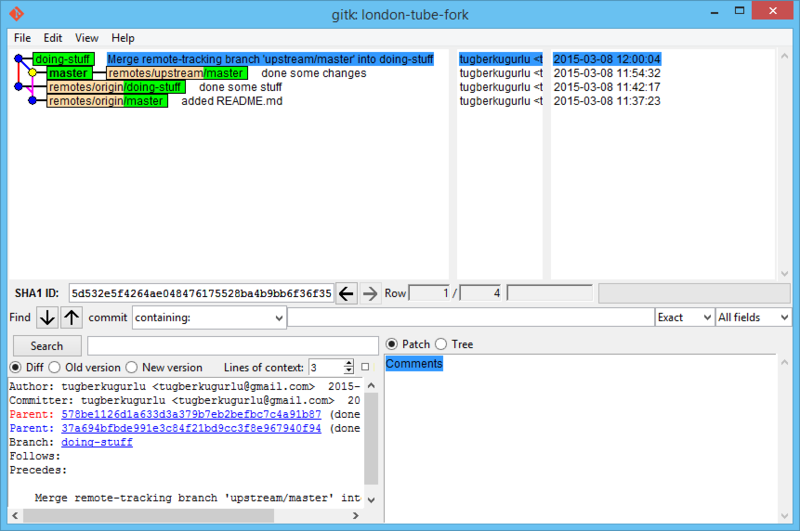 It's so easy to end up with git commit history which looks like London tube map. Let's see how we end up with those big, ugly, meaningless commit histories and how to prevent having one. There is no way for me to understand this unless I look at it for 100 times (and it was actually the reality). 90% of the commits above are rubbish to me. YES, I am talking about those meaningless merge commits. They have no really value, they are just implementation details that happened during development and it makes no sense when I look at them later. I previously blogged about how rebase can help taking away this pain. However, it’s hard to apply rebasing model if you really don’t know what you are doing. I wanted to dig a little deeper in this post and share my opinions on this controversial topic. All seems good so far. I have the stable code inside upstream/master and I am working on a new stuff under origin/doing-stuff. Now, let’s make a new commit to upstream/master which we still continue cracking on origin/doing-stuff. 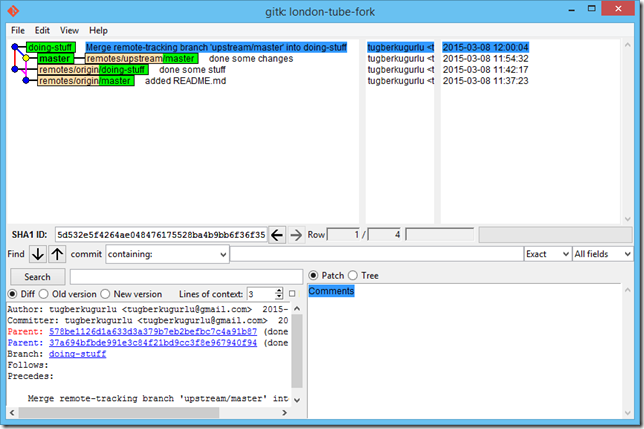 Then "git merge upstream/master" will replay the changes made on the upstream/master branch since it diverged from master (i.e., 1) until its current commit (3) on top of master, and record the result in a new commit along with the names of the two parent commits and a log message from the user describing the changes. 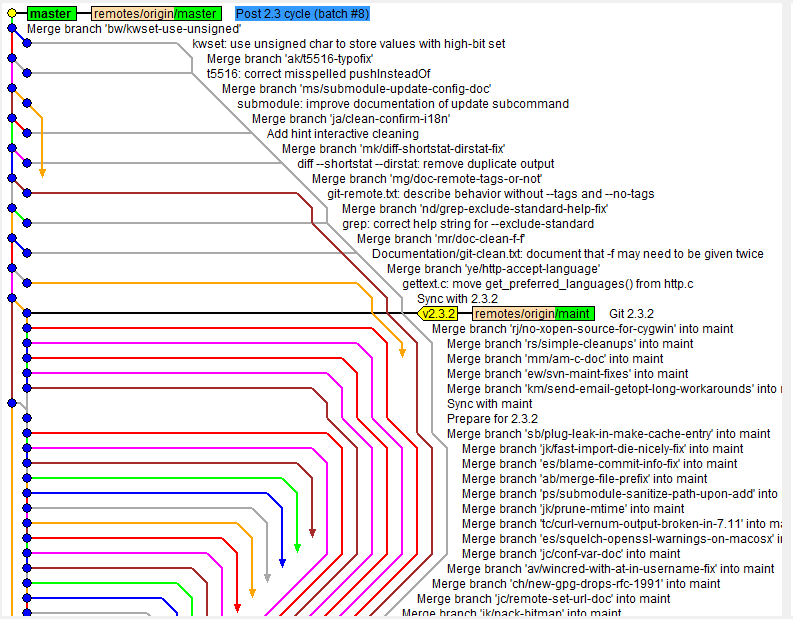 Except from the unnecessary merge commit, it is not that bad but this can get worse. 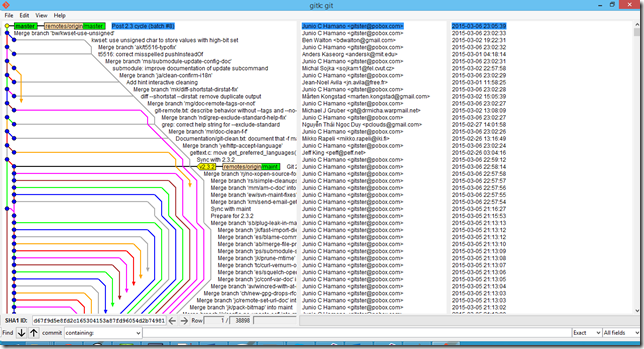 Right now if you want to merge origin/doing-stuff branch into upstream/master, it will be a fast-forward merge which means only updating the branch pointer, without creating a merge commit. However, some prefers to disable this behavior with --no-ff switch for the merge command which makes it possible to create a merge commit even when the merge resolves as a fast-forward. It makes the history look even worse by doing this. 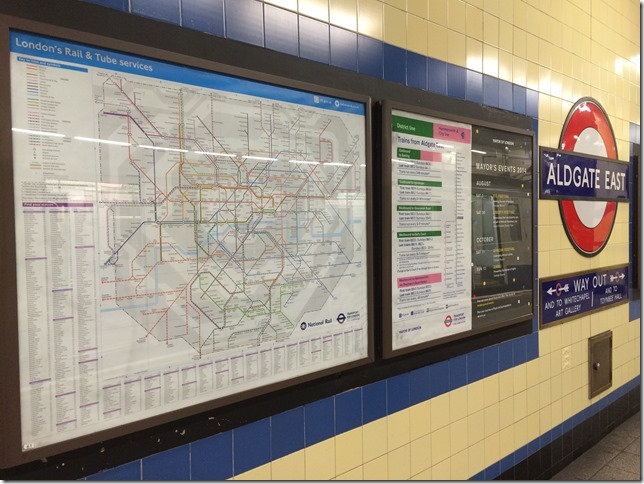 Repeat this process over and over again, you will be really close to your own version of London tube map™! We are now in sync with upstream/master but what happened here is actually really clever. 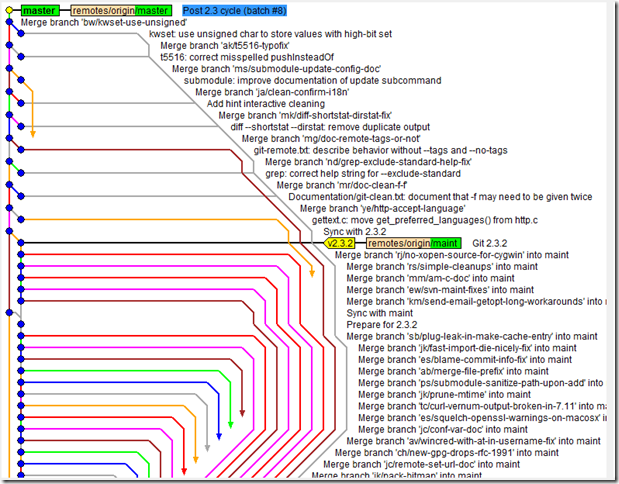 When you are doing the rebase, git first takes your new commits and puts the upstream/master commits onto your branch. Later, it will apply each of your commits one by one. If you don’t have any conflicts, it will be a successful rebase as it was in our case here. It’s generally OK to force push into a feature branch inside your own fork which you are the only one who is working on it. Also, if you have an open pull request on GitHub attached to that branch, it will update the pull request when you force push which is nice. General rule of thumb here is that you should work on your own fork and shouldn’t push a feature branch into the shared remote upstream repository. This will generally make your life easier. When you now add new commits and try to get these changes into upstream/master, it will just be a fast-forward merge (unless you have --no-ff merge rule in place). If you are on a long term big project where more than one person is involved, using merging like this in an obnoxious way and it will make you and your team suffer. You will feel in the same way like you felt when you first landed in London and picked up the London tube map, which is confusing, terrified. I agree that applying rebasing is hard but spend some time on this to get it right throughout your team. Do not even hesitate in spending a day to practice the flow in order to get it right. It may seem not important but it actually really is when you need to dig into the history of the code (e.g. 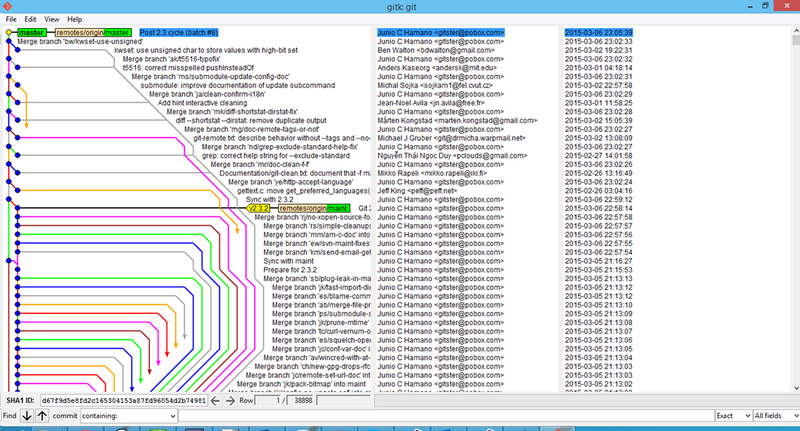 git bisect). A few simple rules that I follow which may also be helpful for you. Do your dirty stuff inside your own fork (you can go crazy, no one will care). 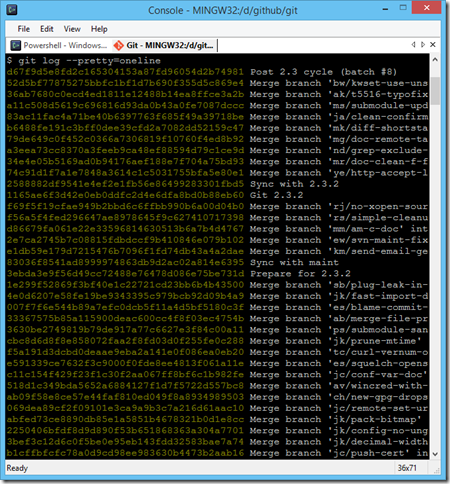 Force --ff-only globally: git config branch.master.mergeoptions "--ff-only"
When you are on a feature branch, always rebase or pull --rebase.